Greetings from Thomas Aquinas College, New England! 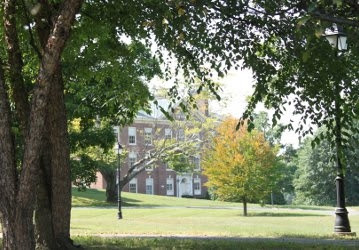 The College has made plans to host an Open House on our New England campus on Sunday, April 7, at 1:30 p.m. The event will begin with Mass at 1:30 p.m. Afterward President Michael F. McLean will speak briefly about the College and its plans in New England, and there will be a panel discussion featuring alumni, parents, and Dr. Stephen Shivone, an incoming member of the New England faculty. Following the discussion, the Admissions department will offer a tour of the campus to prospective students, parents, teachers, pastors, youth ministers, and anyone else who may be interested.Refreshments will be served immediately afterward, around 4:15 p.m. Please see thomasaquinas.edu/OpenHouseNE for further details and to RSVP. Do you know anyone who may be interested in attending? We would be grateful if you would please pass this invitation along! I hope you can make it. Please do not hesitate to call or email me with any questions. I would be very glad to hear from you at any point. You can reach me directly at 805-421-8304.